The German-speaking Austro-Hungarian Empire entered the war as a natural ally of the Central Powers. But, contrary to the German Empire, it was an uneasy bicephalic kingdom ruling over a dozen of minorities with vastly different cultures and languages. Political tensions were high and the memory of the Balkan war was still fresh. In the Balkans in particular, nationalistic undergound movements triggered bombings and a famous assassination. The Archduke Franz Ferdinand was murdered by young Serb activist and anarchist Gavrilo Prinzip, operating for the Mlada Bosna, supported by the larger “black hand” movement in Sarajevo. The Archduke was, on 28 June 1914, visiting the city in an open coach, passing by narrow streets with a distracted protection, and was already attacked by a group of 6 nationalists including Prinzip. A grenade was launched but missed, but the Archduke resumed his visit to the hospital, while the group scattered. Later on, Prinzip, alone, found the convoy one more time and drew his pistol. The Archduke was shot at very close range and fatally wounded. He died the same day. Prinzip was immediately arrested and thrown in jail pending trial. Soon after, anti-Serbian riots erupted, largely organized by Muslim-origin Schutzkorps militias. Actions also erupted against Serbs in Croatia, Bosnia and Herzegovina. As everybody knows, that was the spark that would consume all of Europe and beyond for four years. By the simple mechanics of alliances, the Central Powers and the Triple Entente joined in and, during that fatal summer (July-August 1914), mobilization was declared everywhere and grand plans of offense or defense were rapidly re-opened. Austria-Hungary did its fair share of conscription too, although some minorities tried to avoid it. Operations were directed at first against Serbia. When the ultimatum expired, military operations followed. Russia was allied to Serbia and prepared to intervene, however mobilization was slow, partly due to the lack of railroads and its huge territory. Germany then reacted, conforming to its alliance with Austro-Hungary and backing her up. France (because of its alliance with Russia), weary of revenge and motivated to retake the bordering Aslace-Lorraine region, joined the war. France prepared to face off against Germany, their hated arch-enemy since 1870. The Prussian military head of staff knew full well that Russia needed time to mobilize and chose to strike first in France, using a carefully planned attack years in the making (Prussian officers considered warfare as a science), the so-called “Schlieffen plan”. At the same time, the British Empire could have opted out of what was largely seen as a continental struggle. After all, they were protected by the channel and the most powerful naval fleet in the world. However, at the same time relations with France were warm, especially since the joint operation in Crimea in 1853-56, and despite an incident in Fachoda on Colonial matters, a “concorde” existed between the two countries. Beyond that, if France were to fail the German militarist regime would spread to all the European continent; the official policy of maintaining balance between the great powers would have been shattered and the Empire would have faced a continental superpower alone. And so all the major powers were thrown into the conflict that raged more than 100 years ago, dragging their colonial empires and resources in with them. As seen above, the Austro-Hungarian Empire found itself the first at war among European nations, against Serbia. The contest was, on paper, won in advance. Indeed, the Serbian army was ill-equipped and largely outnumbered, but stood its ground and concentrated artillery correctly, inflicting crippling casualties on the Hungarians at the Battle of Cer and the Battle of Kolubara on 12 August and after. After that, a sizeable fraction of the Serbian Army was stationed on the borders, preventing Austro-Hungarian forces from joining with the ones already protecting the homeland against Russia and Italy (which, although part of the Triple Alliance, remained neutral until 1915). Compared to the well-oiled Prussian military machine, the Austro-Hungarian army was seen as less modern, lacking artillery, modern transportation, with a rigid organization and notoriously finicky and inefficient administration, and with officers still relying on largely obsolete 1860s-1870s tactics. 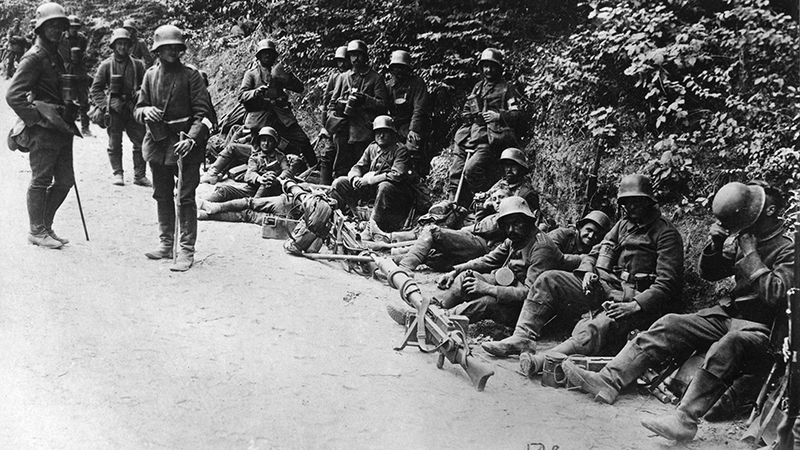 Austro-Hungarian troops, despite their diversity, fought relatively well, but more so in defense rather than offense. Russia was found mostly preoccupied with Germany at first, which was nearer to Poland and the roads to Moscow, and was unable to launch sizable attacks or to pierce through the Austro-Hungarian defenses. The same situation was repeated on one of the most difficult terrain of the war, high in the frozen peaks and treacherous valleys of the Alpine frontier against Italy. This “mountain war” was largely a stalemate, the Italians being constantly on the offensive, but without much success. 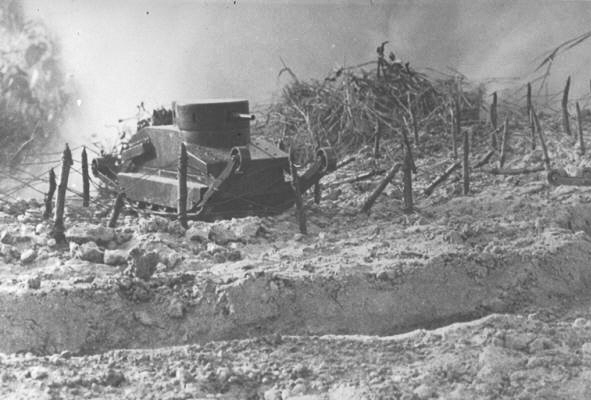 Because of the terrain on this particular theater of operation, neither side saw any advantage in using armored cars or tanks, but both had plans for these towards the end of the war. During the final phases of the Battles of the Isonzo in late 1917, the Austro-Hungarian army was found at least partially on the offensive well supplied with German hardware under Svetozar Boroević. They were aided by German troops commanded by Otto von Below. The town of Kobarid (in modern Slovenia, better known as Caporetto) was taken, re-taken, lost, and re-taken again by both sides and eventually leveled and considered, at the time of the offensive, a quiet sector. The German military thought it was perfect terrain for launching a massive gas attack on 24 October. German troops spearheaded the attack, using storm troopers for infiltration in the Mount Matajur and the Kolovrat Range. With close artillery support they advanced 25 km (15.5 mi) into enemy territory and seized strong points and key positions. Other sectors of the Italian line had to send reinforcements, weakening the whole defensive line in the process, while the Central Powers’ offensive resumed. At the end, fearing being cut off, some units retreated, or attempted a defensive retreat ordered by Marshal Luigi Cadorna. This gradually transformed into a full-blown a rout, with the enemy launching an all-out attack along the entire line. This was a catastrophy for the Italians, with some 40,000 men wounded or killed, 265,000 captured, and 300,000 missing. During the Battle of the Piave River, retreating Italian forces were able to hold off the enemy offensive for some time. Following Caporetto, Cadorna, who was quite harsh and hated by the troops, was sacked and replaced by Armando Diaz and Pietro Badoglio. Italy then took defensive positions until the end of the war. An engineer born in Austro-Hungary, Günther Burstyn, designed a very strange machine in 1911. It was tailored to cross trenches of all sizes. This was the Burstyn Motorgeschütz. It was relatively small, with a fully revolving turret armed with a light 47 mm (1.85 in) Skoda gun, and a crew of two. The great advantage of this design was the tracked chassis and articulated arms linked to the rear and front axles. These arms were raised when crossing bad terrain to avoid being stuck in obstacles, and lowered on the ground to allow trench crossing. The choice of this kind of solution offered the possibility to use a smaller vehicle, giving a greater power-to-weight ratio, which was vital for mobility in general. It was an excellent compromise, and showed features (except the articulated arms) that would be commonplace with tanks like the FT at the end of the war and to this day. The Burstyn Motorgeschütz is often considered the first tank, as it was the first design in history to combine armor and weaponry on a tracked chassis. Unfortunately, the officers and general staff were not impressed and did not allow Burstyn to pursue the design. Another landmark in armored vehicle history, this was the first modern armored car. It predated, by a year, the first series-produced armored car, the Russo-French Charron. The Panzerwagen had an entirely armored body with a hemispheric turret at the rear. It was armed with one or two machine-guns. The driver and co-driver/commander positions could be raised to see above the roof. It is still unclear if only one or two such vehicles were built, but the Army was not impressed and no production order ever came. The only Austro-Hungarian armored car built in any semblance of a series, the vehicles were improvized by the officer with the same name. It had six machine gun ports and was relatively heavy for a car. 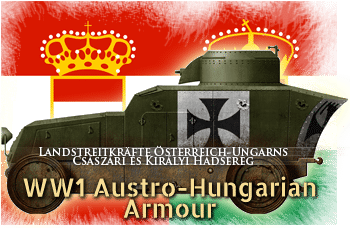 The last and most advanced Austro-Hungarian armored car of the War. Only two were built. A single armored car unit, the K.u.K. Panzerautozug No.1 was mobilized at the end of the war to the Italian front. It was equipped with two Junovicz P.A.1s, one Romfell P.A.2, one captured Lancia Ansaldo IZ, and one ex-Russian Austin Armored Car. The turret of the Burstyn Motorgeschütz would have had a limited traverse, because of the structure to its rear. This would have been the cupola for the backward driver. The limited traverse is clearly visible in the original drawings, which can be seen f.e. on the landships 2 site (http://www.landships.info/landships/tank_articles.html#). 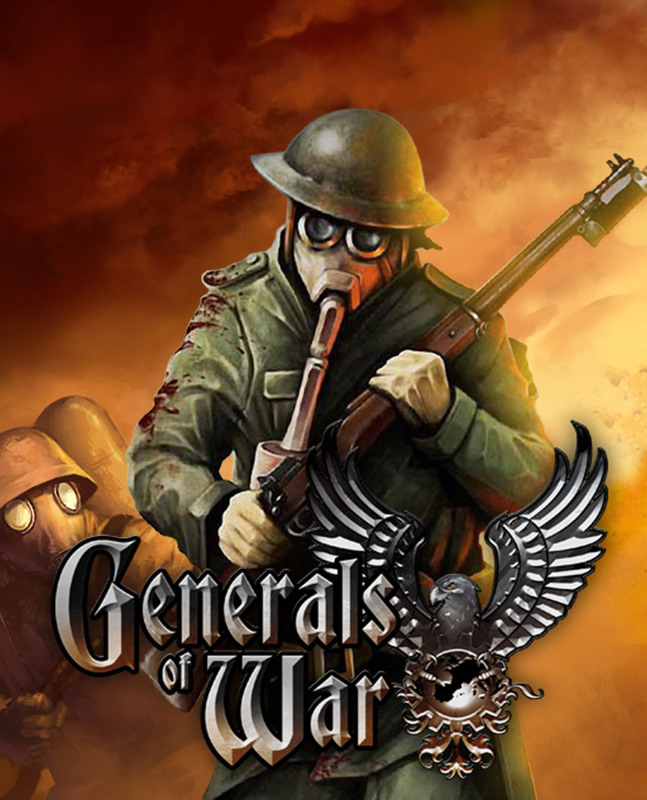 My personal opinion is, that the Motorgeschütz would have been underpowered. The drawings show very little room for an engine. Engine and transmission occupy more than half the interior space of most tanks. Burstyn leaves less then a quarter of the space for this. Ammunition stowage etc. too is mysterious. The turret of the Burstyn Motorgeschütz would have had no 360 degree traverse. The structure behind the turret (cupola for the backward driver) limited the traverse to about 300 degree. The original drawings (see f.e. 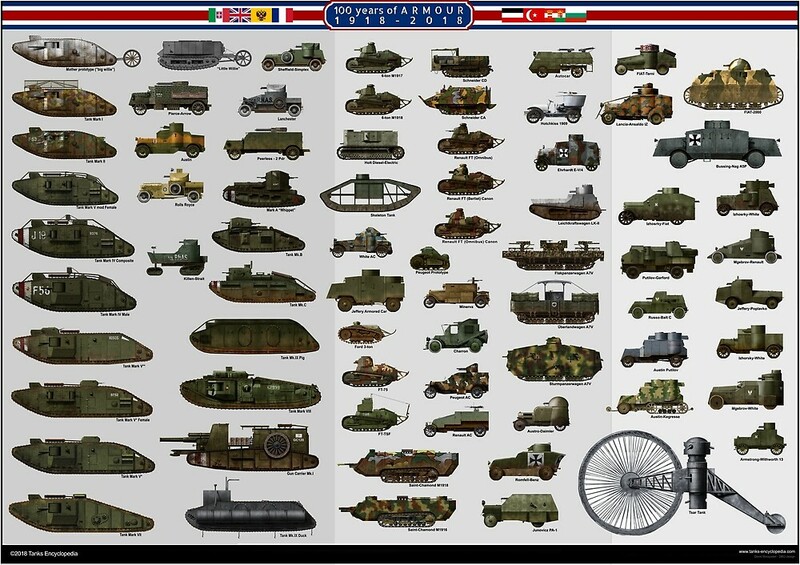 http://www.landships.info/landships/tank_articles.html#) show three seats: one driver for forward and backward each and one gunner. The drawings show very little space for motor and transmission and don’t give any suggestion how exactly they would be placed. Ammunition stowage etc. also remain unclear. Hello Markus, thanks for these remarks, they will be taken in account when tackling this mysterious tank indeed in a standalone post. Is the Burstyn article still in the works? I’ve been anticipating one for some time, hopefully with an updated illustration. However I’m certain the team is extremely busy. The quality of your considerable output is commendable!